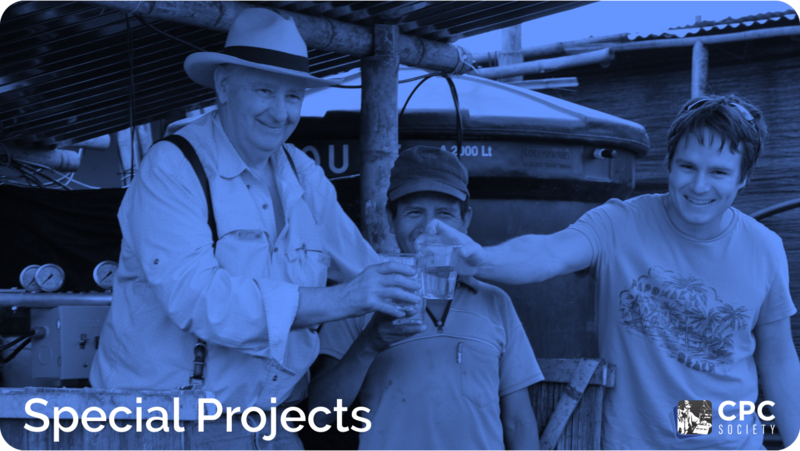 Partnering with Campwater Industries SAS, CPC has been able to provide safe drinking water for thousands of people. 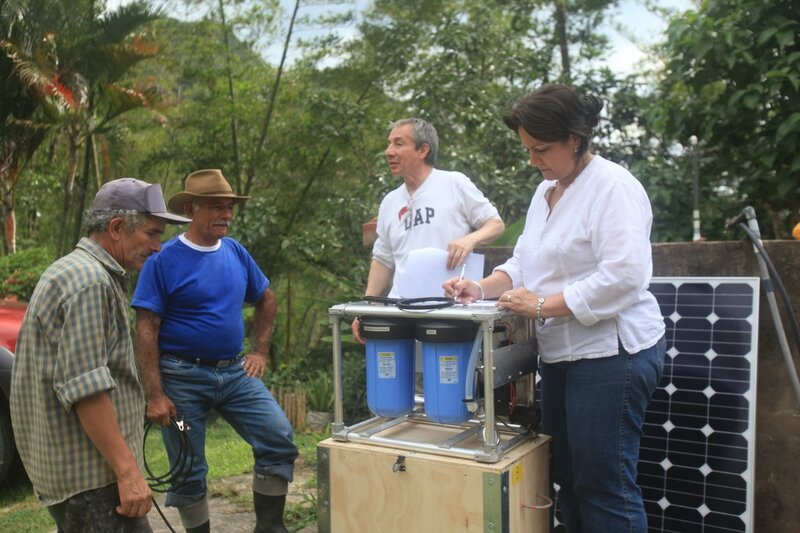 Portable Water Treatment Systems that can purify up to 5 gallons of contaminated water per minute are donated to marginalized communities suffering from poverty and violence. Providing for fundamental needs in a tangible way has been a door opener to reach many previously inaccessible communities with the gospel. Through the radio and book distribution many individuals who were once insurgent and operated within the different war factions have come to know the Lord. Through the Rescue the Captors Project materials and resources are provided to the men and woman who desire to return to the hostile areas they came out of and reach others with the gospel. 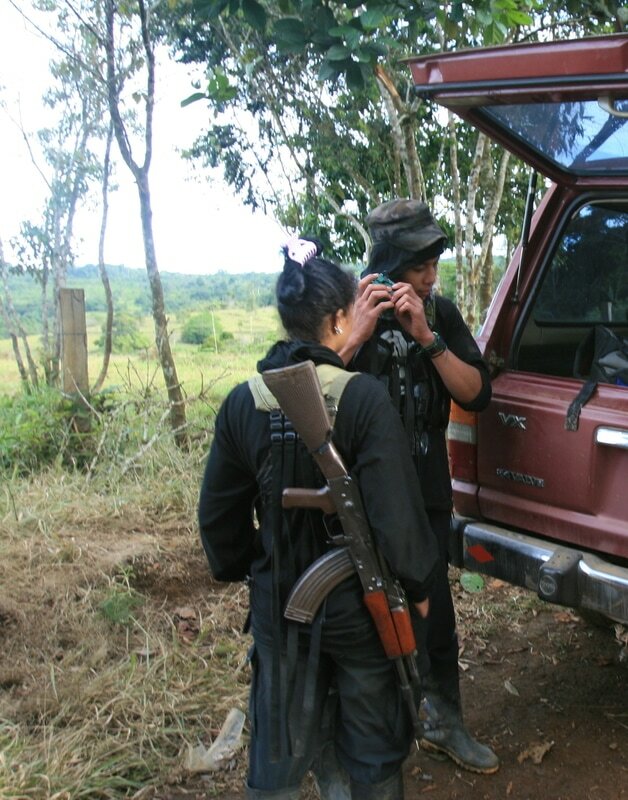 Guerrillas receiving Galcom radios and Bibles. Several years ago, through extensive travel to remote areas of Colombia, CPC encountered a community of Christian Paez Indians that had been displaced from their lands by tribal leaders for being Christians. The persecution they endured was heart wrenching as they lived in utter poverty. Together with partners around the world, the CPC team has been involved in providing this community with their own land, building materials, safe drinking water, electricity and the know-how to thrive productively in areas of agriculture and artisan workmanship. 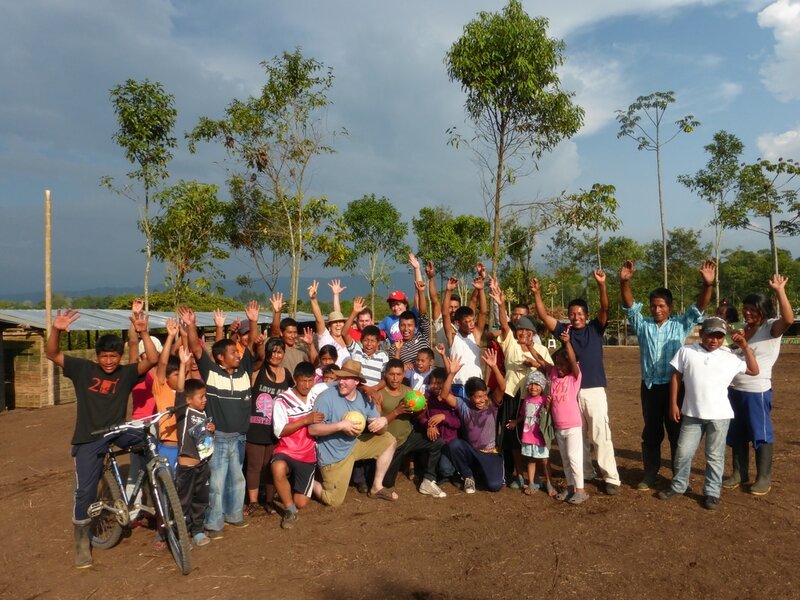 Today this community is 100% self-sustainable cultivating dozens of different fruits and vegetables. They have a school where they have even received children from other families that need help. They also have sent missionaries of their own people back into the mountain areas they were displaced from taking books and Bibles to their persecutors.